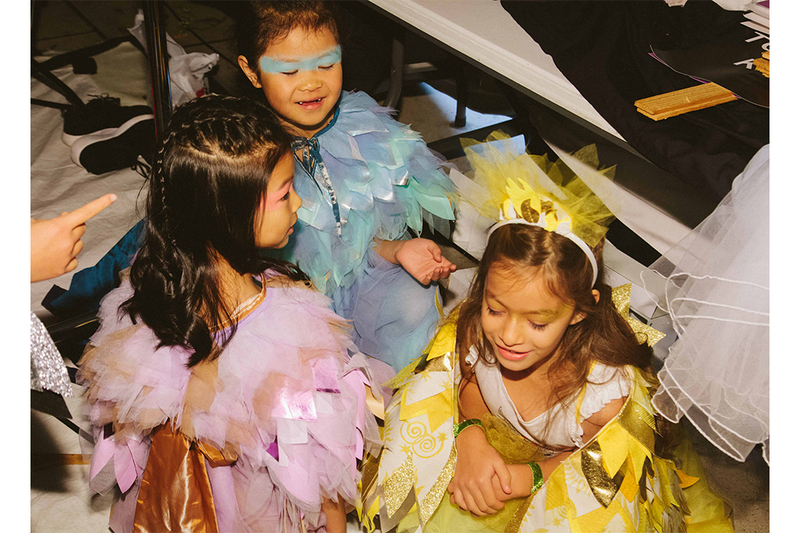 View the highlights from the two-day Vancouver Kids Fashion event which showcased SS19 collections on a fun and creative platform and featured national and international designers. 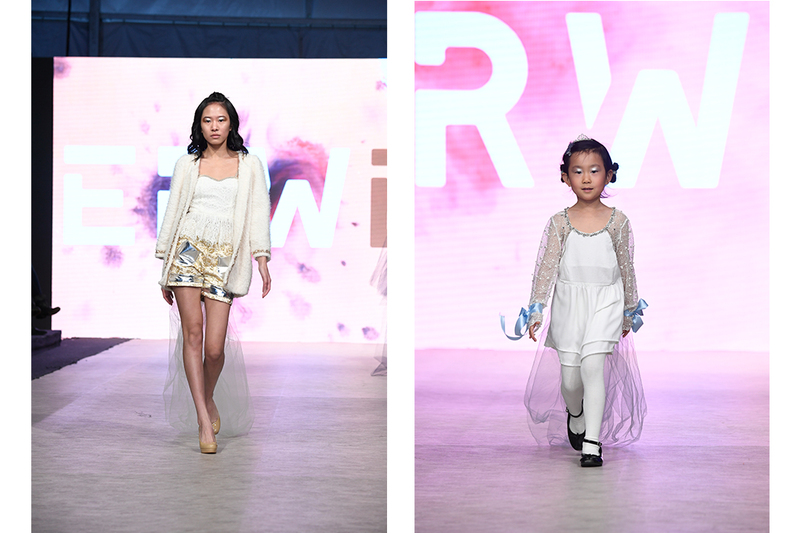 Vancouver Kids Fashion Week (VKFW) is fast becoming an established part of VFW’s bi-annual calendar with the ticketed event being sold out in advance. This is not a traditional fashion show, VKFW invites children’s activity groups in the local community to be part of the event, which this season not only included the children modelling as well as singing and dancing acts and child presenters. 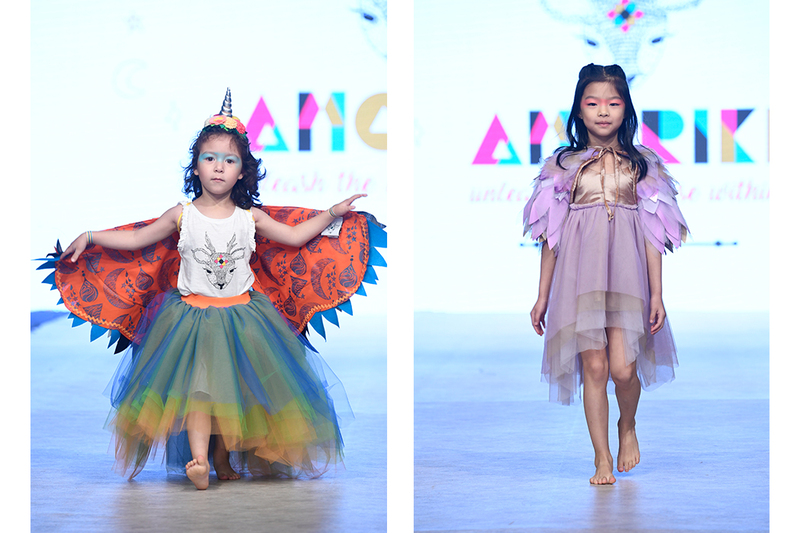 Amoriki’s collection of kidswear was accessorised with shiny metallic feathered wings. The Mexican brand captured the essence of fun as models fluttered down the runway barefoot with painted faces and flapping wings in pinks, silvers, golds, and blues. Coloured animal print tops were accented with headdresses and paired with tulle ballet tutus; designer Mercedes Armendáriz Vales succeeded in captivating her audience with a vibrant collection for SS19. Vancouver based swimwear brand, Bee’s Knees Beach, transported the runway back to 1920 with their nautical themed collection. The mother-daughter duo, Chris and Sue Naggy, played with the era’s classic one-piece bathing suit by adding striped ruffles in navy, white and pink, mixing and matching sleeves with halter necks, the perfect swimwear for your little ladies next beach holiday. 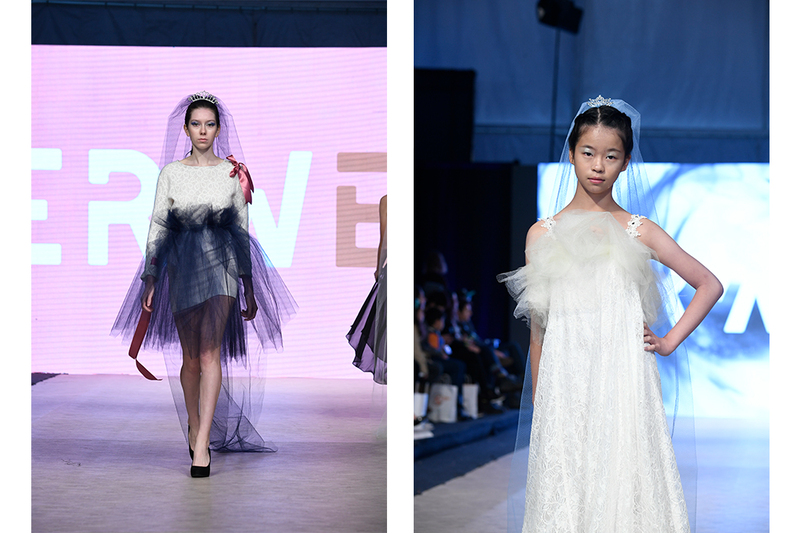 Erwen presented their collection ‘Fluidity’ made with discarded and reused fabrics. 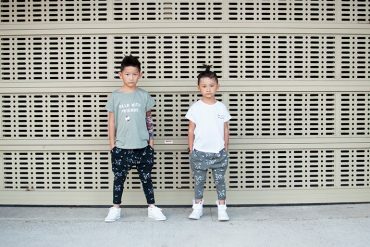 Local students from Emily Carr and SFU have created kidswear with an ecological perspective giving discarded fabrics a second life. Hanging pieces of tulle coloured the looks, and ribbons and straps added detail. Metallic shorts, and a hoodie made of patched fabrics with raw edges created a modern and casual style. Kindluv is a brand that seeks to put an end to bullying by spreading messages of love and kindness through clothing. 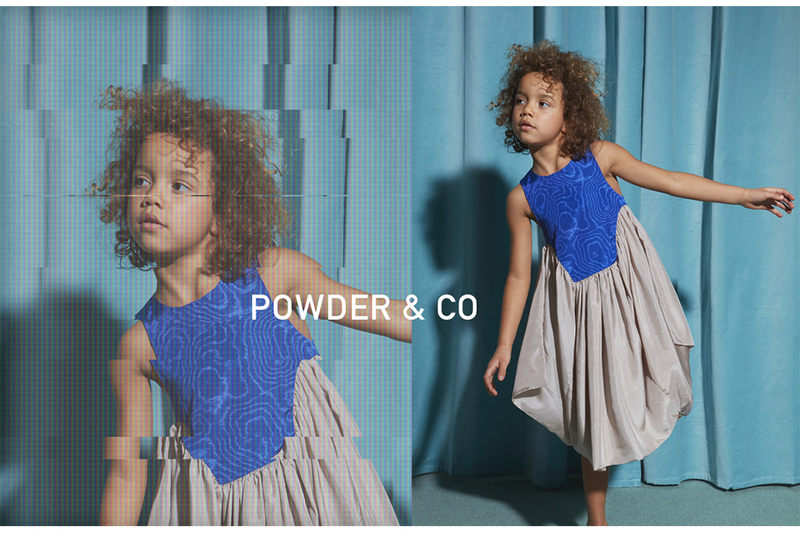 Designed by mother-daughter team Yolanda and Megan, the collection developed through colourful slogans on statement tees in soft cottons. 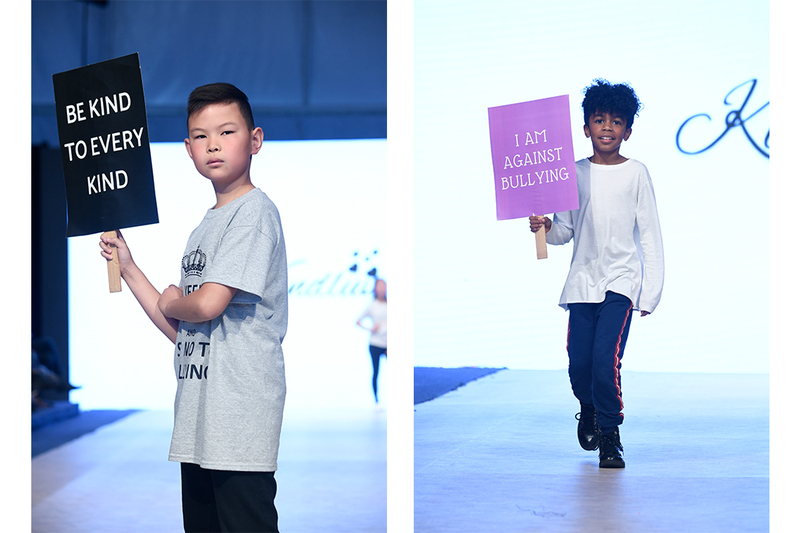 Kids walked the runway holding placards printed with “I am against Bullying” and “Be kind to every kind”. 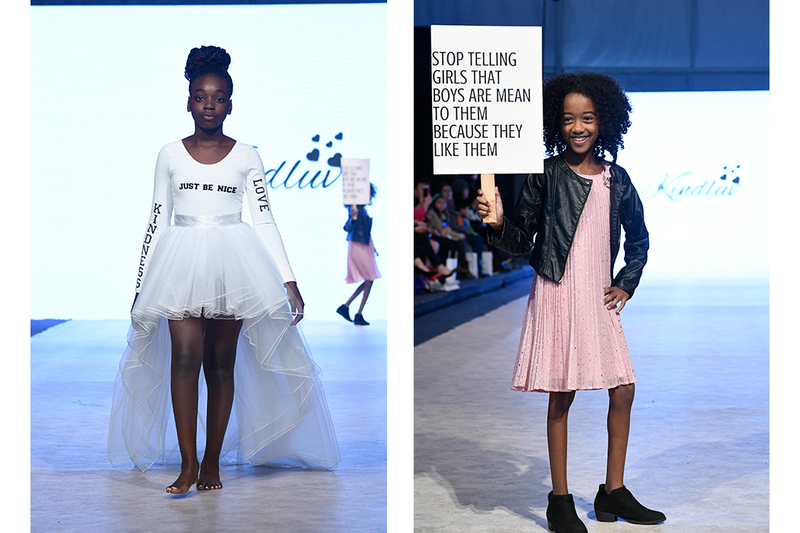 A standout look for girls featured a white jersey long sleeve top with ‘you matter’ emblazoned in black print on the back, paired with a white tulle ballet skirt with a waterfall hem. A collection to start a conversation. 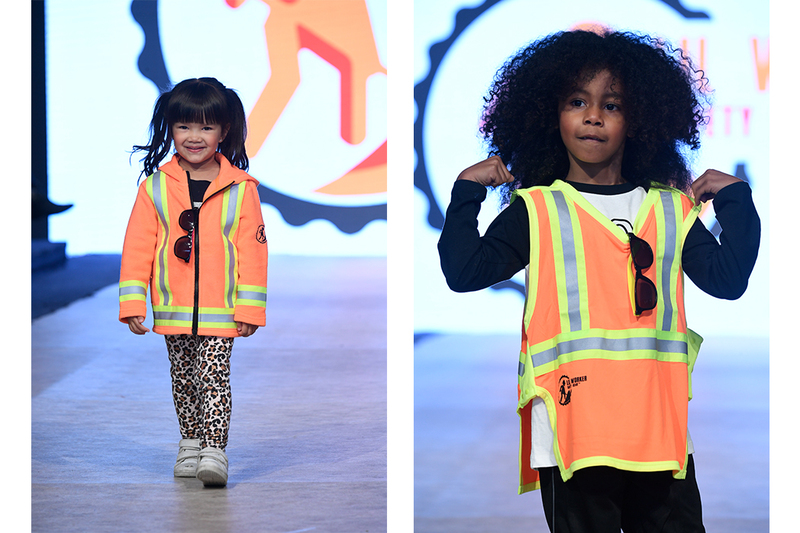 Lil Worker Safety Gear made high-vis high fashion with their collection of practical safetywear. BC local James Flawith showcased an array of neon zip-up fleece jackets, vests, and rain macs all featuring strips of reflective silver. Made of durable material, the range was designed to keep kids safe during playtime. Image 1-3 Amoriki, Image 4 & 5 Bee’s Knees Beach, Image 6 & 7 Erwen, Images 8 & 9 Kindluv and Image 10 Lil Worker Safety Gear. 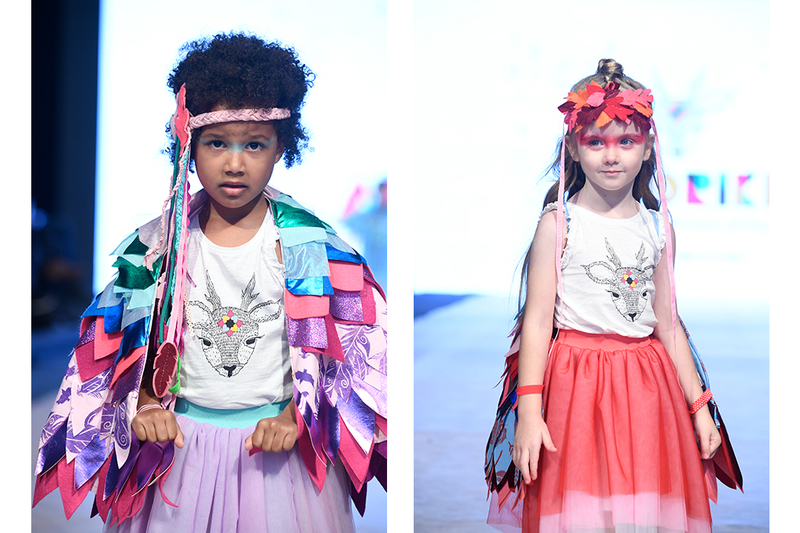 View Highlights from day 1 of Vancouver Kids Fashion Week here. 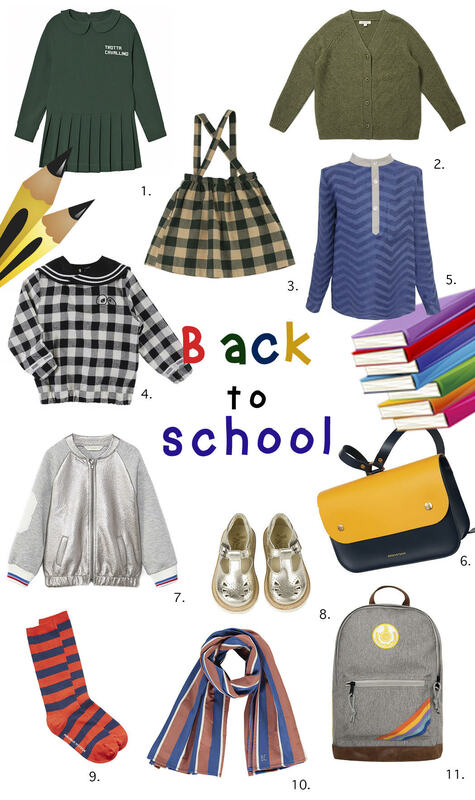 To find out more on the VKFW or to take part in the AW19 events taking place in March, click here. 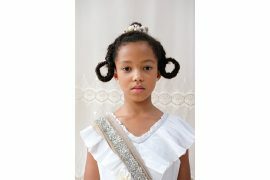 Photography Image One – Byeongcheol Jo @4cheol, All other images by Arun Nevader for Getty Images– All rights reserved. With Chloe, encourages children to work hard and dream big.